Athlyn Green hails from Nelson, B.C. and is a lover of clean air, pristine lakes, hot springs, and mountains. Lonesome Lake is situated in Tweedsmuir Park, within the rugged Coast Mountains of British Columbia, Canada. 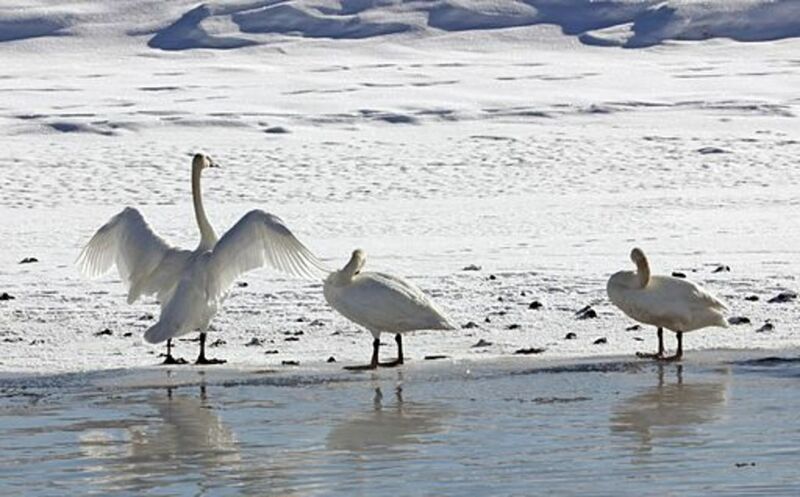 The lake--and a man who would later come to be called "Crusoe of Lonesome Lake"--would play a crucial role in saving endangered trumpeter swans. In the beginning, Ralph Edwards had a dream. He wanted to get away from civilization, live in the mountains, and create a self-sufficient lifestyle. It appeared an idealistic dream, to live a simple, rustic life, but it would have far-reaching implications. During the years 1912-1966, Edwards carved a homestead for himself and his family in the Atnarko Valley at a place he named Lonesome Lake, a 75-mile walk from the nearest post office. Ralph may not have seen many people but he noticed magnificent trumpeter swans his first winter there. Loudly trumpeting their arrival, the giant birds were hard to miss. 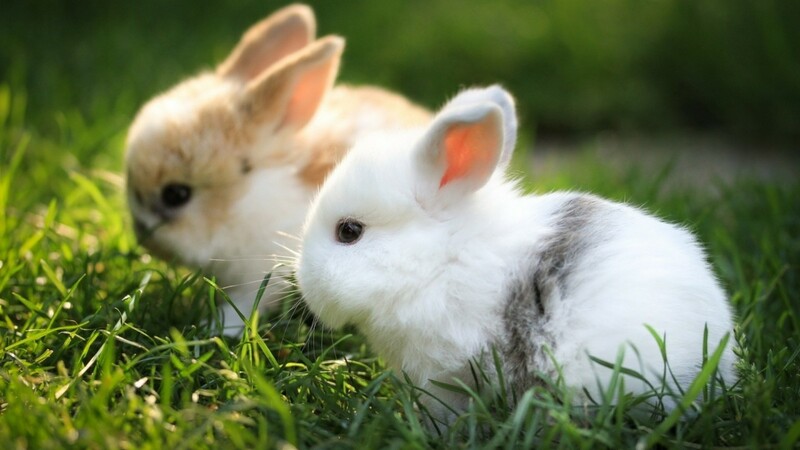 At the time, there were no laws governing the shooting of the swans, and while the birds had formerly enjoyed a wide range that had stretched from the U.S. to Canada, by the 19th century, swan skins, down, and quills had become highly sought-after commodities. In 1916, it was estimated that only about 100 trumpeter swans remained in the world, and about 1/3 of them wintered at Lonesome Lake, feeding in the ice-free areas of the rivers. Fortunately, for the swans, Ralph arrived in the nick of time. His efforts would determine the fate of the endangered swans. Ralph's story would have been interesting enough, a modern-day Davy Crockett leaving civilization behind, pitting himself against the odds, and creating a fulfilling and workable life. Yes, such a story would have fired the imaginations of adventure lovers everywhere. But while Ralph chose to live a quiet life off the beaten track in the remote Canadian wilderness, his heroic efforts to save the vanishing trumpeter swans would ultimately garner worldwide attention. I had, of course, been aware of the swans since my first winter at the lake and had always been attracted by their trumpeting, which reminded me of the little instruments that youngsters played tunes upon. By the 1930's, the known world population of trumpeter swans totaled less than 100. About one-third of that number wintered at Lonesome Lake. In 1926, while on a guiding trip to Ootsa Lake, Ralph met up with John P. Holman, a member of the Audubon Society. Holman questioned him about the trumpeter swans at Lonesome Lake and later contacted the provincial game warden about the flock. The warden alerted J. A. Munro, Chief Migratory Bird Warden for B.C., who contacted the Edwards family, requesting information about the swans. 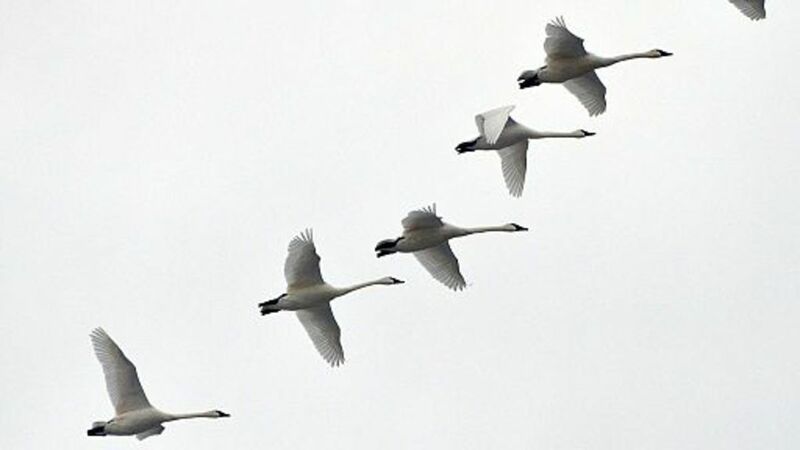 Ralph and his wife Ethel began keeping a swan log and tried to keep track of swans seen in flight through the winter and up until they left in the spring. They later mailed it to Munro. 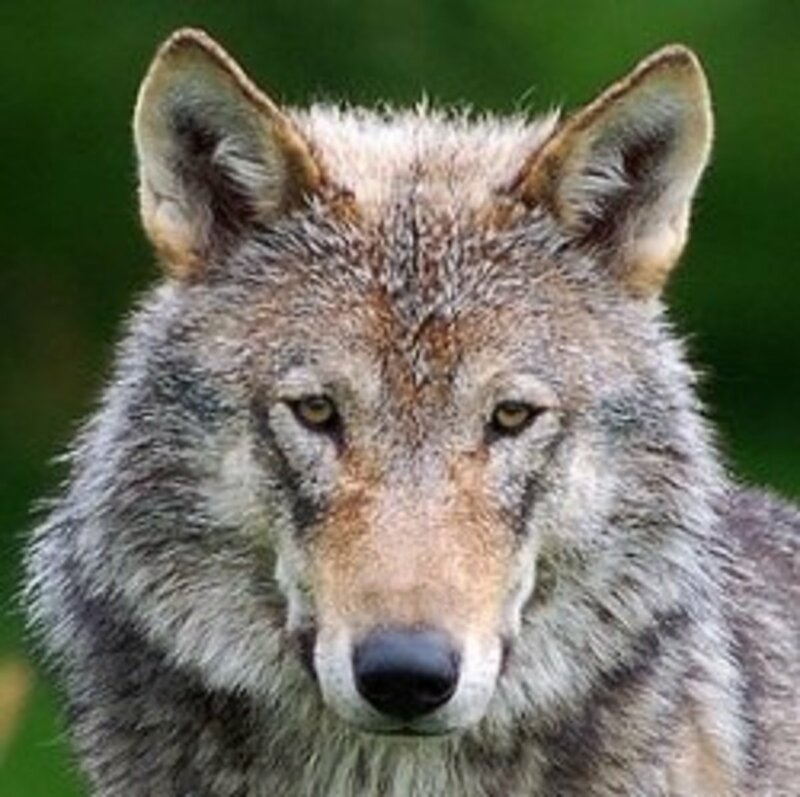 This intervention was timely, because while the birds had been hunted to near extinction, they were also threatened by coyotes, wolves, and eagles, and on top of that, the cold weather had taken its toll on the rapidly diminishing flock. Ralph was appointed Assistant Migratory Bird Warden for a five-month period from November to March. Ralph observed that frigid weather posed the greatest threat to the dwindling swan population. In the severe winter of 1932-33, he came across 11 dead swans. Then a three-day downpour set off a landslide that dams up rivers that then froze over, depriving the birds of critically-important feeding areas. The flock dropped to only 19. Ralph suggested feeding the swans and was directed to purchase barley to feed the swans. 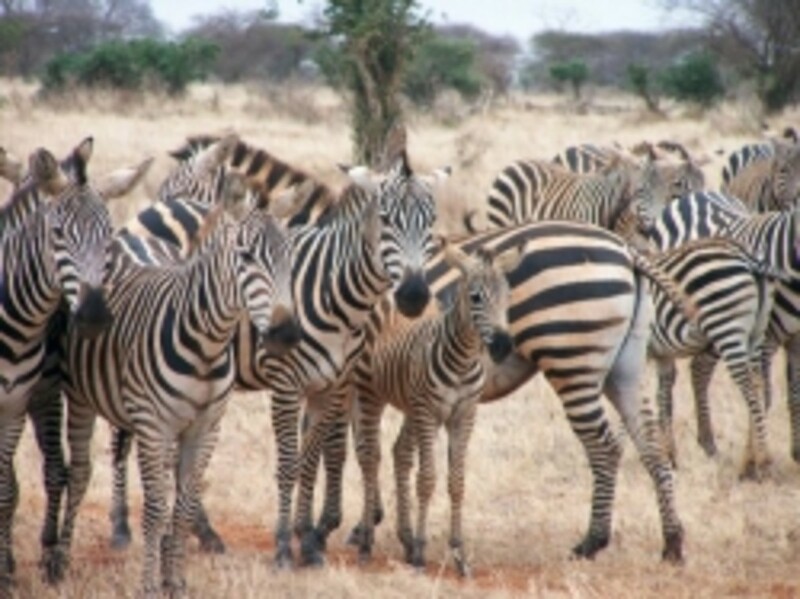 This set in motion a chain of events that would spell the difference between survival and extinction for the trumpeters. The undertaking was challenging. How to get the grain into Lonesome Lake? The barley could only be transported so far and was left in piles covered by tarps. Ralph had to then move as much as he could carry in stages. 100-pound sacks had to be transported (by humans or horses) over miles of rugged terrain to the swans wintering at Lonesome Lake. They would pre-soak the grain by tying a sack to a stake and submerging it underwater overnight, then would deposit the grain in about 2' feet of water, so that the swans could dip their long necks down into the water, tipping, bottoms up to the wind, and feed on it. 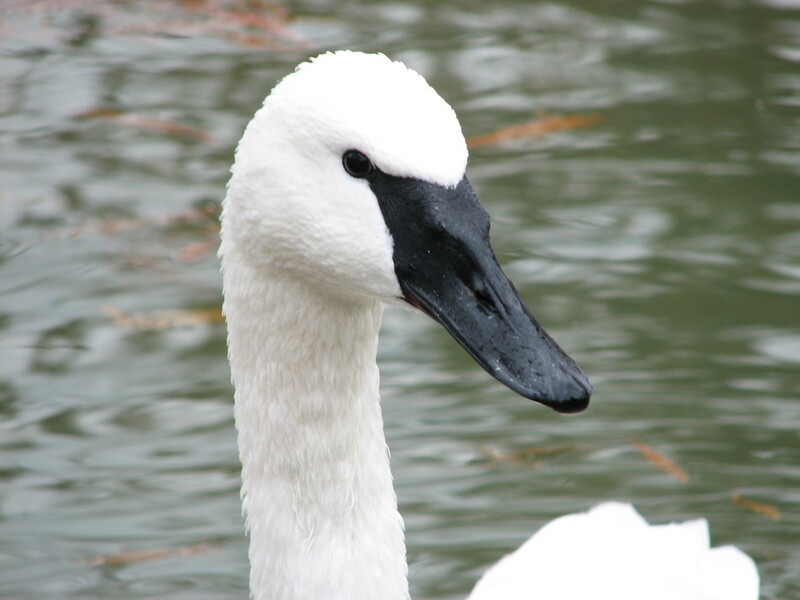 In 1936, due to flooding, more than half of the trumpeter swan flock died. 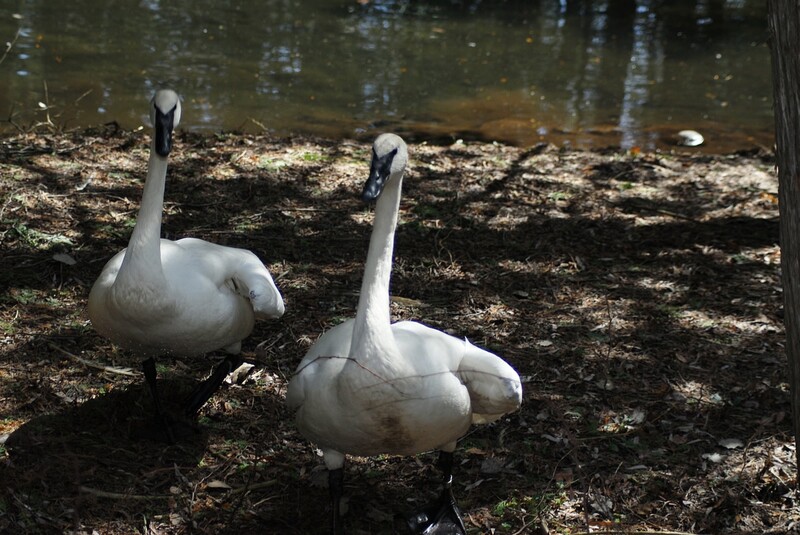 Ralph, and later his daughter, Trudy, continued to protect and feed the starving swans by horse-packing tons of barley into their feeding areas to ensure their survival through the harsh winter months. 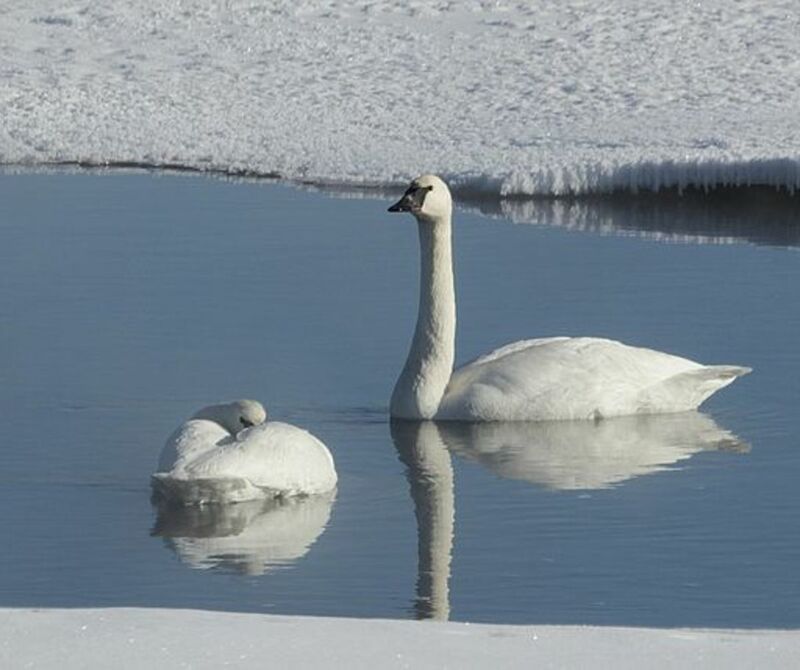 At times, in -30 weather, the Edwards family broke ice over feeding areas and made sure the swans had drinking water available. At one point, in 1956, when temperatures plummeted, Ralph appealed to the Canadian Wildlife Service to fly in emergency grain supplies. I would place a sack of barley in the river overnight, tied to a stake, so it was soaked by the time I was ready to distribute it. Imagine spending weeks lugging heavy sacks of barley by horseback or human back long distances over inhospitable terrain. Imagine doing this year after year, having to venture outside in winter, battling freezing temperatures and having to break ice so the swans could drink and feed, all at no little personal inconvenience. 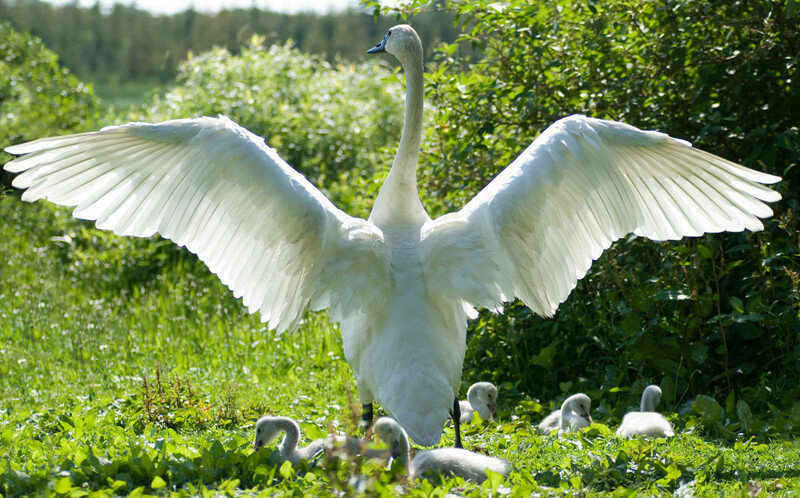 Only the true dedication, perseverance and love shown by one heroic Canadian family spelled the survival of the trumpeter swans. Have You Been to Lonesome Lake? It would be an adventure! Trudy was honored with a personal letter of thanks from the Queen. Have You Read Books About the Edwards Family? I remember reading Crusoe of Lonesome Lake in my teens and I never forgot it. Learning about this hardy wilderness family was something that stuck with me through the years and I sought out the book and read it a second time. Years later, I came across another book, Ralph Edwards of Lonesome Lake and I enjoyed it enormously. Through its pages, I learned more of Ralph's story, including that he learned to fly a plane, because like the swans, Ralph was free-spirited and longed to take flight. The next book I plan to read is Fog Swamp, written by his daughter, Trudy. Trudy also fed the swans and thus, supported her parents' efforts. The Edwards family battled isolation, deprivation, and the elements to live in the pristine Chilcotin wilderness but their dedication to a starving flock of swans at Lonesome Lake turned into their greatest triumph and legacy: saving the majestic trumpeter swans from probable extinction and thus preserving the species for the enjoyment of future generations. I found the books, such an interesting read and quite out of the "every day." The Edwards family devotion to the swans was truly remarkable. This was a lovely hub about saving the trumpeter swans in Canada. You wrote a well-written and researched hub. I love swans. Voted up! Most beautiful creatures with such an interesting insight of these birds, I found this hub to filled with facts of Trumpeter Swans, and you did it s o well. Very impressive material. I watched the movie, too. If it were not for the Edwards family, the Trumpeter Swan never would have survived, that is guaranteed. We owe them all a lot of gratitude.